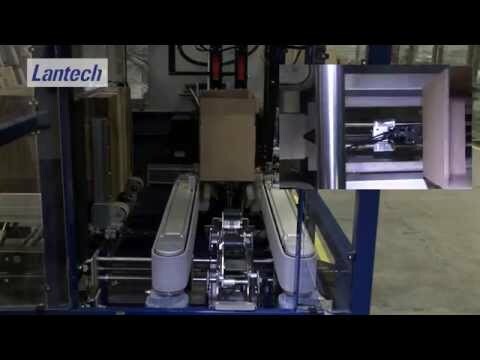 To overcome common cases of manufacturing variations and optimize your packaging line, you need to be able to count on quick and consistent delivery of erected square cases to your packaging process. Lantech Case Erectors are known to deliver perfectly square cases, to eliminate jams, and to overcome common case manufacturing variations. The magazine is easy to load, also while the machine is in operation. The magazine adjustment is simple and fast. The secret to Lantech’s perfectly square cases lies in the 8 suction cups that securely hold the case in position while the corners are formed. The pick-up frame ensures 90 degree angles on case corners. Unique sequential flap folding makes corners are kept in the right angle. Lantech let’s you select the best case erector depending on case size, required flexibility, required speed (8-30 cases per minute) and sealing preference.